The Federal Reserve, also known as the Fed to many people, and written about in many articles, is the central banker of the United States of America.The Fed has two key duties; this is known as a dual charter. The first charter that the Federal Reserve is responsible for is to maximize the employment rate within the U.S. economy. The second charter that the Fed is responsible for is to seek price stability throughout the nation. Another name for “price stability” is inflation, which may be a more commonly heard word. Inflation is the rate at which the costs of items change within the U.S. economy. Another way to think about inflation is in terms of U.S. dollar and devaluation. As inflation rises and is “present” in the economy, consumers dollars “do not go as far” as they would before inflation. In other words, this means that more dollars are required to purchase the same amount of goods and services as before. The Federal Reserve consistently tries to keep inflation near 2 percent annually. Inflation rates above 2 percent can be damaging to the U.S. economy. Rising interest rates of inflation are linked directly to rising mortgage rates. Inflation rates below 2 percent can also be damaging to the economy. Keeping stability is a main reason why the Fed consistently tries to keep this inflation rate right at 2 percent every year. Furthermore, inflation rates have the potential to go negative. This is known as deflation or disinflation. Just as inflation is related to rising mortgage rates, deflation is linked directly to falling mortgage rates. 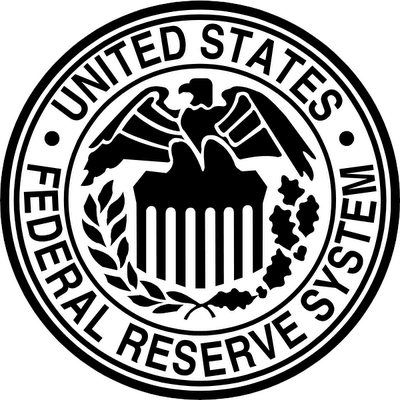 The Federal Reserve is made up of a 12-person, policy-setting committee call the federal Open Market Committee (FOMC). The FOMC meets at eight scheduled meetings throughout the year. Following each meeting, the Fed makes a press release known as the “FOMC Statement” which announces the central banker’s policy choices. The most widely known FOMC monetary policy announcement is the choice of setting the Federal Funds Rate. The Federal Funds Rate us the rate at which banks can borrow from each other overnight. When the Federal Reserve votes to raise the Fed Funds Rate, it costs the consumers and businesses more money, which creates a drag on the U.S. economy. In comparison, when the Fed votes to lower the Fed Funds Rate, the economy is pushed toward expansion. The next major rate the Fed sets is the “Prime Rate”. The Prime Rate is a key interest rate that sets the credit card interest rates and the cost of business loans for consumers and U.S. businesses. On average, the Prime Rate is the Fed Funds Rate adding an extra three percent to it. The Federal Reserve uses many other tools to influence the U.S. economy and the growth of it. The Discount Rate is the overnight interest rate at which banks can borrow money from the Federal Reserve. Another process is quantitative easing, which is when the Fed purchases securities in the open market to lower yields and consumer mortgage rates. The FOMC has used this tactic of quantitative easing three times since 2009, and each time resulting in lower mortgage rates. The second time the Fed used quantitative easing coincided with the lowest, recorded 30-year mortgages rates in history. The third time had similar effects on rates, however it is still important to recognize that the Fed’s effect on mortgage rates is indirect. The Fed does not set consumer mortgage rates; they are set on Wall Street. Even though the Fed does not directly control mortgage rates, they influence the direction in which mortgage rates move. The reason behind this is as the nation’s central banker, Wall Street is closely watching the actions of the Fed. The actions the Fed can take consist of setting the Fed Funds Rate, which as spoken about before, is the Fed’s most well known tool. When the Fed votes to raise or lower the Fed Funds Rate, it is sending a very specific message to Wall Street. When the Fed raises the rate, it is signaling that inflationary pressures are growing within the U.S. economy, which suggests an economic expansion. Mortgage rates then tend to rise for two reasons. The first reason is that the inflation devalues mortgage bonds, which results in a broader-market sell-off. The second reason is that economic expansion attracts investment dollars towards equity markets and away from bonds. As the demand for mortgage-backed bonds drops, mortgage rates tend to rise. This is assuming that the supply remains constant. In between FOMC meetings, which occur every six weeks, members of the Federal Reserve speak to Wall Street, to business organizations, and to the press; offering opinions on the economy and future monetary policy. The Fed also published the “Fed Minutes”, which is a summary of the discussions and debates from the most-recent FOMC meeting. Fed Minutes are published three weeks after an FOMC meeting adjourns and often eclipse 8,000 words, providing plenty of market-changing fodder for Fed-watchers worldwide. These comments affect opinion about stocks and bond markets, which causes mortgage rates to change.